I think I have a photo somewhere of Percival’s using one of the 3 hangars for aircraft storage. Apart from that single photo I have never seen any aircraft parked outside or inside any of those hangars. Also worth noting is that the T2’s are clustered together rather than the standard practice of spreading the hangars around the airfield so they could not have been built for the RAF who did have a squadron based at the airfield for a short time. Hangar 24 has been used for airport vehicle maintenance for many years(since at least before 1990) on the ground floor anyhow. Going inside there was storage in an upper level for Monarch aircraft spares, mainly BAC1-11 and Boeing 720 spares, this was at least whilst I worked for monarch between 1989 and 1999. 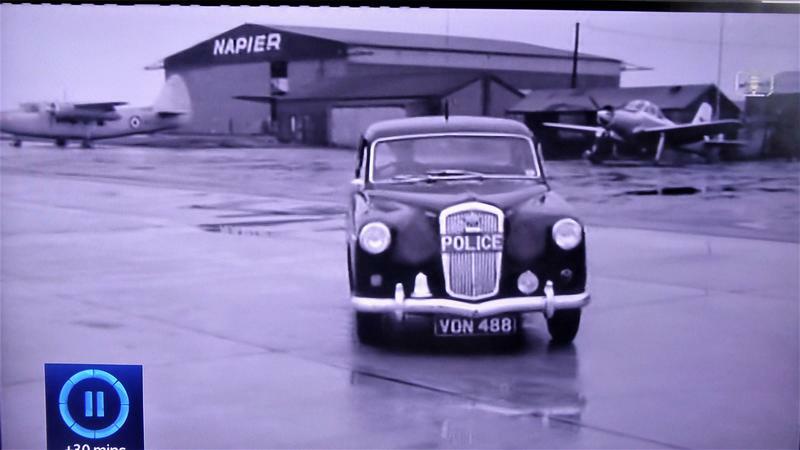 I believe in the very early days the Hangar was owned by Percival’s and Jet Provosts were assembled there. 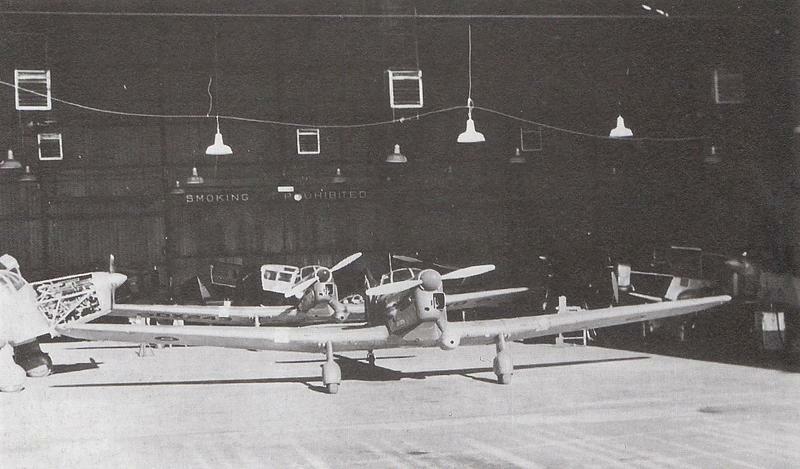 This is the only grainy photo I can find of inside what might have been one of the 3 T2 hangers at Luton. 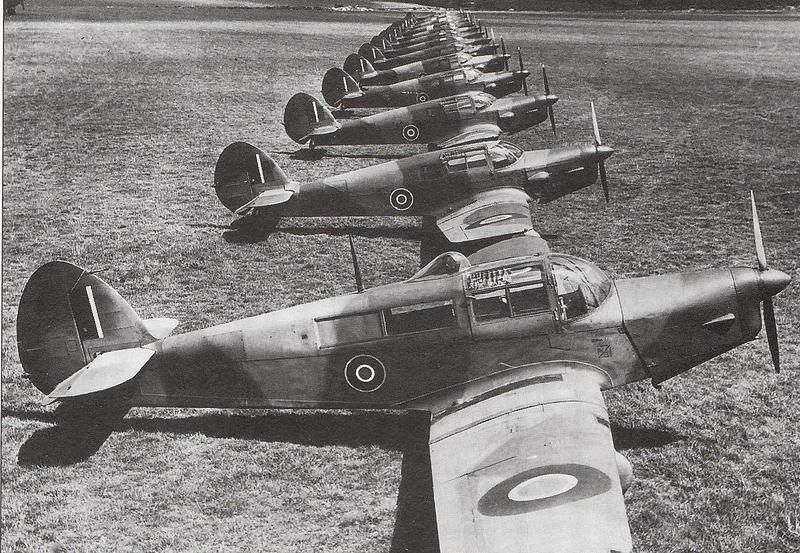 These aircraft were in storage waiting to go to Gravesend for finishing. Last edited by LTNman; 10th Oct 2017 at 17:38. 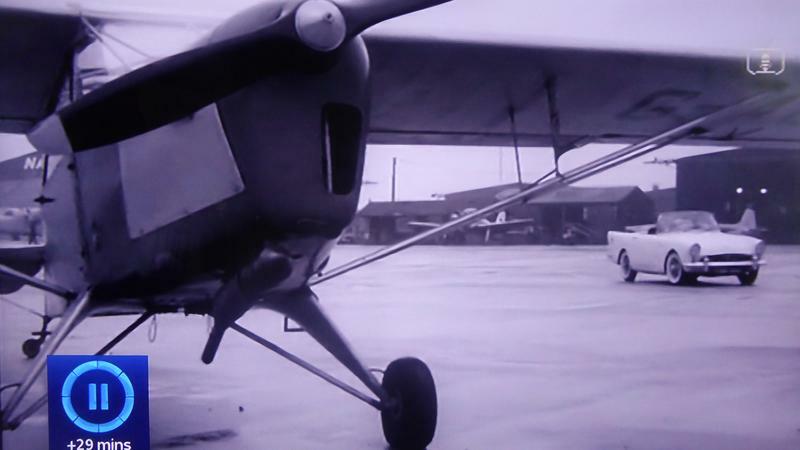 The rear hangars were far more open in the early days. Here is a pic from, I would think, late 40s so they presumably were used for aircraft. LTNman is right in that hangar 24 is not directly behind hangar 9 but the next one along. 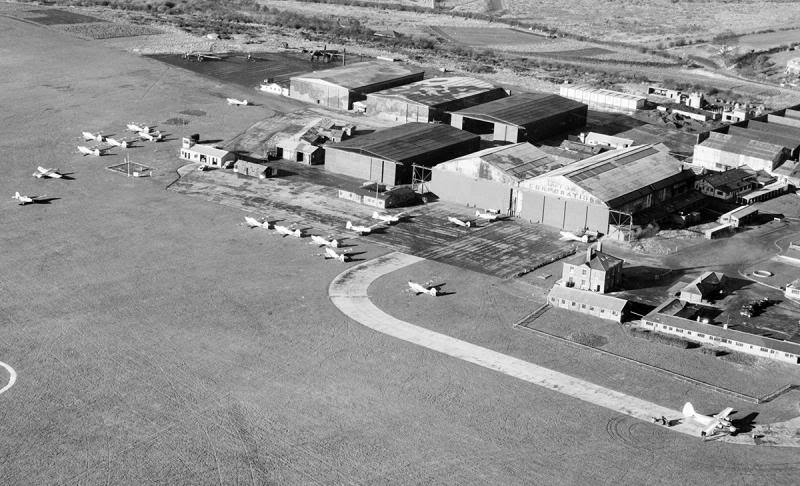 When I first started cycling to the airport c1960 the front of hangar 9 was used by Percivals for their flight line aircraft and the rear by Luton Flying Club until they moved to the hangar vacated by McAlpines when they moved to the east end of the apron (a former Blackbushe hangar I was told). Clear? Those last two photos indicate how successful the Proctor was, and how useful the folding wings were for hangar storage. The aerial shot is about how I remember it from a visit I made there in 1958 by Tiger Moth during my PPL at Cambridge. 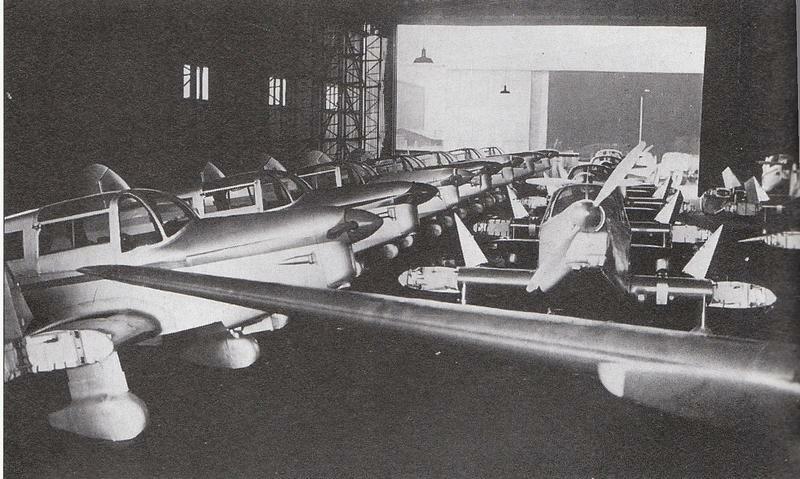 What a super picture of the hangar full of Proctor's! Lovely aircraft, its a pity about the glue they used. I would suggest that in the second shot, the majority of the single engined aircraft in front of the hangars are Prentices, with a Prince lower right. On getting out the magnifying glass, I think you're right, Haraka. In fact I think I can see some RAF roundels on the wings. Another hangar shot but this time the hangar has been identified as hangar 9, which is next to the corporation hangar and was used as a service and repair centre. ......and the turned up wingtips. 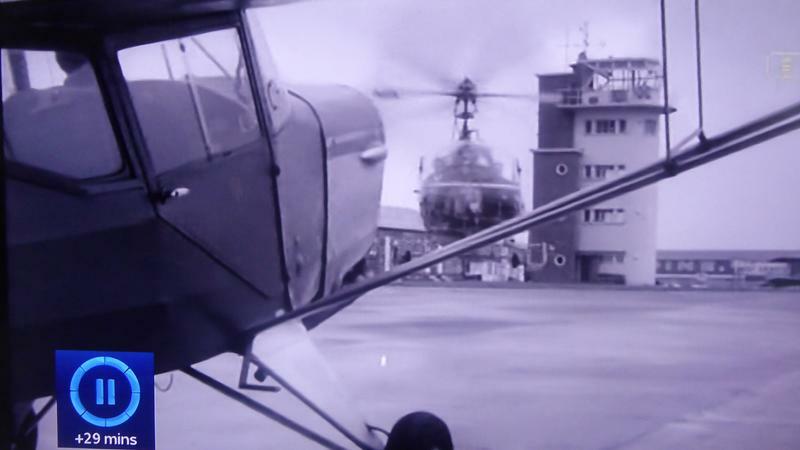 Talking about RAF roundels, I can see them on the front Proctor, and on the one behind it there is also a serial ?DX243, which would make it a Mk III built by F Hills. Would it have been flown to Luton for distribution? Ready for delivery from the repair unit. 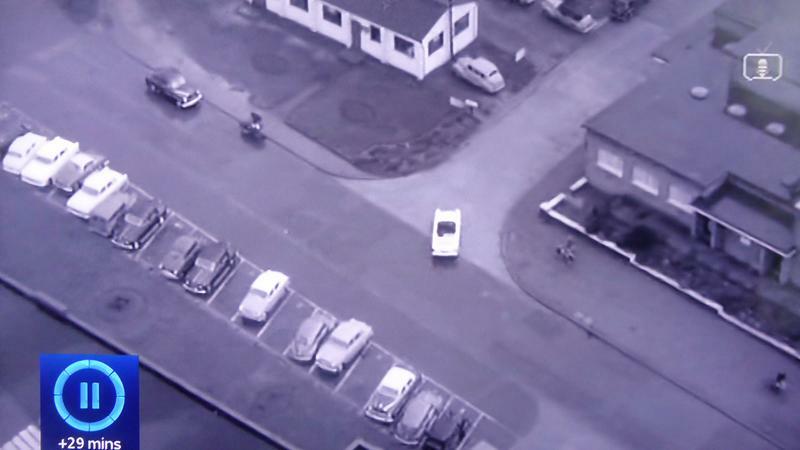 What aircraft is to the right of the police car? In 2573, the front Proctor seems to be NP329. That would be a Mk IV, built by F Hills. 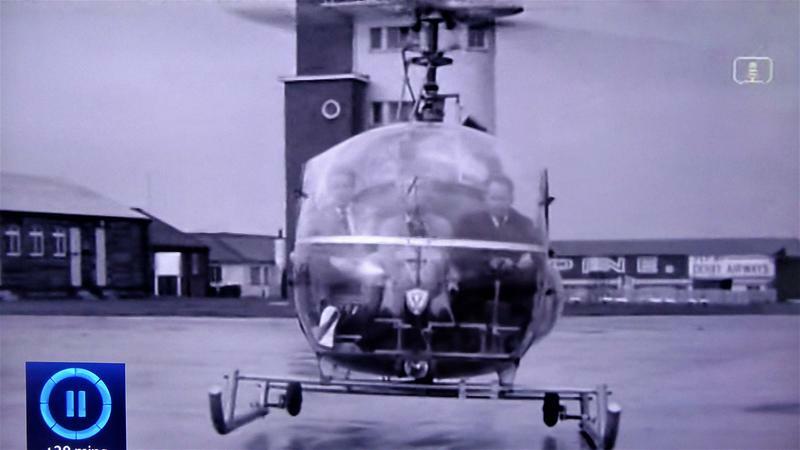 It has more cabin glazing, being bigger than the Mk III, and this one has a large aerial over the cabin, that the ones behind it do not, and also what appears to be a DF antenna in a Perspex dome. Is that right? The text associated with the photo states there is P229 mark 4, LZ572 which is a mark 3 and Z7189 which is a mark 2. Blowing up the photo the first aircraft has been listed wrong and should read NP229. Thanks. Just like to say this is a great thread will all its twists and turns from the 30's to I guess the 90's. LTNman: OK, it could be NP229, which is still a Mark IV. Was this Perspex dome a regular feature? I just Googled "Percival Proctor", Images, and see the dome with a DF aerial inside on a few of the photos (and a model), but most do not have it. I'll also take this opportunity to say what a fantastic thread this is: it's one of my regulars.